The largest land bird in North America, the California condor can have a wingspan of over 9 feet and weigh over 20 pounds. The condor has black feathers over most of its body with a white triangle under each wing and a red or orange head that is naked of feathers. 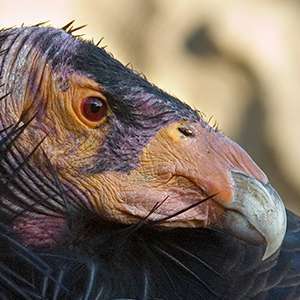 The condor is a scavenger that eats large, dead mammals. The California condor flies hundreds of miles a day in search of food. It roosts on ledges and caves in cliff faces and rarely returns to the same location unless it has a nest. The California condor historically ranged from Oregon and California across to Utah and Arizona. However, there are currently only three wild populations scattered throughout that territory. Historically, California condors faced a variety of threats that nearly drove the species to extinction, including habitat degradation, power line collisions and egg collecting. The greatest, continuing threat is lead poisoning from ingesting lead ammunition in the carcasses they feed on. By 1985, only nine California condors remained in the wild. The Fish and Wildlife Service started a captive breeding program in 1983, capturing all of the wild condors by 1987 and confining them in a secure environment in hopes of saving the species. Researchers began releasing the condors back into the wild in 1992, first in California, later in Arizona and Mexico. 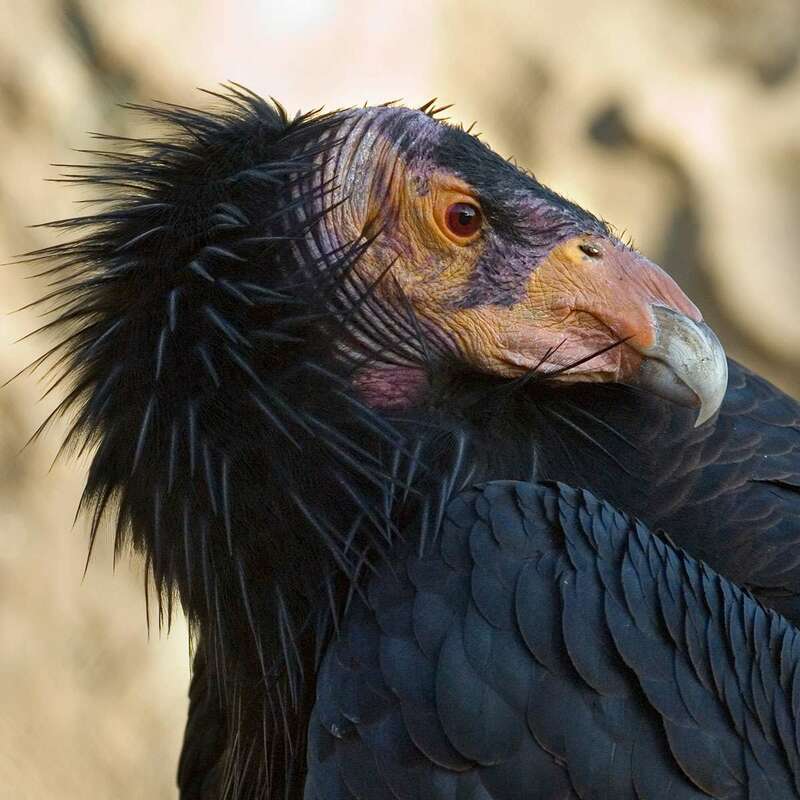 The captive breeding and reintroduction program has boosted the population to nearly 500 birds and continues to help the California condor recover. Take action to protect Grand Canyon National Park.